The Kingdom Hearts 3 sales have taken the lead in the UK charts, pushing the Resident Evil 2 remake into second place, after the Japan release achieved the same victory last week. 82 percent of UK sales came from the PS4 version, with the latter from the Xbox One release. In the UK, this is the first time any Kingdom Hearts game has reached the top spot on the charts, and is the most successful in the series on record, strengthening the likelihood of a future Kingdom Hearts 4 release. While digital downloads aren’t included in these sales figures, the Kingdom Hearts 3 sales are also at least double that of the previous Kingdom Hearts 2 on the PS2, but likely to be even greater including the digital sales. In comparison, sales of the Resident Evil 2 remake decreased by 67 percent compared to last week, as the Q1 launch window charts become more competitive with every release. 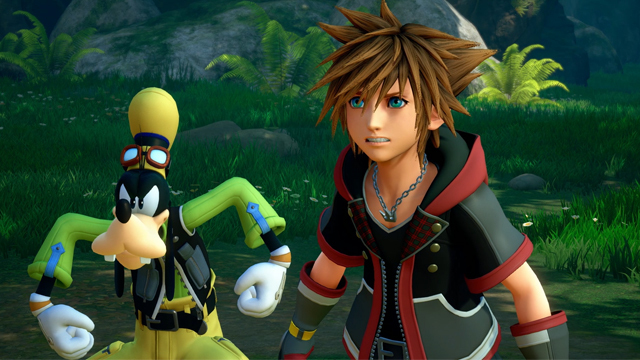 However, this isn’t the first chart success that Kingdom Hearts has experienced recently, after the opening song “Simple and Clean” topped the UK Billboards Hot 100 Songs last week. Among the other top 10 game sales this week, Red Dead Redemption 2, FIFA 19, and Call of Duty: Black Ops 4 followed in third to fifth place respectively, staying strong in the charts since their 2018 releases. Likewise, the Nintendo first-party presence remains solid, with New Super Mario Bros U Deluxe, Mario Kart 8 Deluxe, and Super Smash Bros Ultimate all consistently performing in the charts in sixth to eighth place. Unsurprisingly, sales of the 2013 Rockstar title Grand Theft Auto 5 also stayed in the top 10 game sales this week, with continuing updates for its online sandbox multiplayer GTA Online. Following on from these sales, we might not only see a Kingdom Hearts 4 sequel, but potentially also a prequel in the series, as hinted in the Kingdom Hearts 3 epilogue.